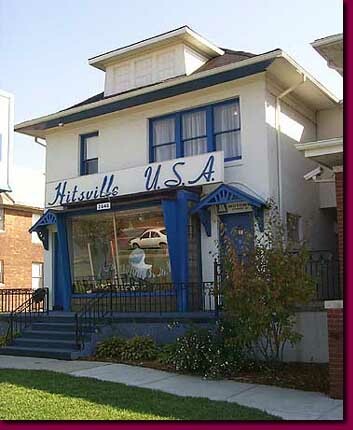 The reflection of a parked car appropriately in the front window of Detroit's Motown Museum. The beginnings of the mighty Motown sound happened here in this modest West Grand Boulevard house. Launched in 1959 on an $800 loan from his parents, Berry Gordy Jr.'s Motown Recording Corporation captivated America and the world in the sixties. From this humble setting blossomed such international mega stars Stevie Wonder, Aretha Franklin, Diana Ross, and Marvin Gaye.